The problem of recruitment and retention of police officers in departments across the United States is well documented. Many law enforcement agencies have difficulty not only identifying and hiring qualified candidates but keeping them as well. You’ve probably seen multiple news stories about the critical shortage of personnel in professions like nursing and teaching, but probably not so much about the shortage of police officers. In fact, you have probably never heard of a study by the North Carolina Criminal Justice Analysis Center which showed the attrition rate for police officers (14 percent) is higher than both nursing (12 percent) and teaching (13 percent). The great news for you is that most police departments are in a constant hiring cycle. With so many officers retiring or resigning each year, there are almost always vacancies, which means there are ample opportunities for you to get hired. Before you do, though, you need to understand why it’s so difficult for police to hire qualified officers, to begin with, and what it will take for you to qualify for a job as a police officer. Most people understand that law enforcement careers aren’t for everyone, but it seems, at least anecdotally, that the pool of available candidates continues to shrink. Several factors have converged to make it more difficult than ever to find good officers, and diminish interest in policing careers. 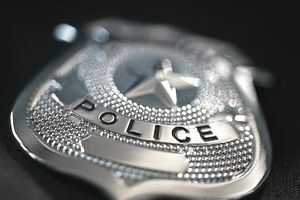 First, even though more and more people are earning college degrees, salaries for law enforcement officers – especially starting salaries, don’t reflect the higher earning expectations of newer generations of job candidates. What many younger job seekers fail to recognize, though, are the benefits of trading a lower salary for an earlier and potentially much more lucrative retirement situation at the end of their career. Another, even more, difficult obstacle to overcome for departments are the evolving tolerances of society as a whole for minor crimes and illicit drug use. As the culture accepts the use of marijuana and other drugs, and as the trend towards legalization of pot continues, more and more young people engage in behaviors that will ultimately keep them from getting a criminal justice job. The increasingly sedentary lifestyle of younger generations, the increased occurrence of obesity, and the relatively low fitness level of so many people have also lead to a smaller group of potential police officer candidates. With the potentially demanding physical rigors of police work, departments are finding that fewer job applicants can meet their weight and physical fitness standards. Financial concerns, too, have decreased the pool of candidates. During the background investigation, most agencies run a credit check. While they are typically not so concerned with the individual credit score, they won’t hire people who are so indebted that they won't be able to meet their obligations with the salary they’ll earn, or people who have significant debts that have been turned over to collections. With the need for qualified officers so high, you have plenty of opportunities and options to get hired in a law enforcement career. You can’t, however, change your past. Take care now to avoid the kinds of mistakes that will keep you out of a job, and understand that, when it comes to many criminal justice careers, seemingly simple mistakes can have long-term consequences. The bottom line is that most police departments, especially at the state and local levels, need good people. And though the pay is not as high as other criminal justice careers, there are still plenty of great reasons to become a police officer. If you’d like to join the force, you simply need to start now to get yourself prepared for a long and rewarding career.